How to Mooring Your Boat. Docking and Mooring can be an unnerving and embarrassing for the inexperienced. The first thing to remember is that none of those spectators have done it right every time and there are probably quite a few who have never done it at all, so just ignore them. Good Seamanship is all about being under control, thinking ahead, maneuvering safely and not endangering your or others, craft or crew. It is not about showing off. So, go slow, take your time, don’t be afraid to back off or go round again, and ask for assistance if you think you need it. Plus at least three fenders/bumpers. But that is the extreme minimum, the more you have the better. The bow and stern lines should be at least half the length of your boat. And the two spring lines should be as long or longer than the boat. However if you intend mooring to a fixed dock your lines will need to be long enough to allow for the rise and fall of the tide. Nylon is also ideal because of its resistance to chaffing, its strength and its resistance to deterioration when stored wet. 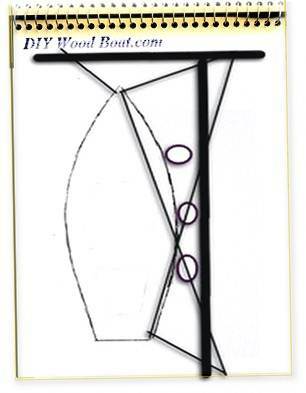 As a rough guide dock lines of 3/8inch / 9 mm are fine for boats up to 20ft/ 7M. For boat lengths of up to 30ft/9M, lines of ½inch /12 mm. And up to 40ft/ 12M, lines of 5/8inch/16 mm. However these are just recommended sizes, there is nothing wrong with using line of the next size up. A larger line diameter will be easier on your hands and will last longer, however you don’t want it so thick as to be difficult to handle. All mooring lines should be taken on board when leaving and not left tied to the dock. The number and the sizes of our fenders/bumpers will depend on the shape and size of you boat but they are there to protect your boat so the more you have the better. Use good quality fenders which are designed for the size and weight of your vessel. 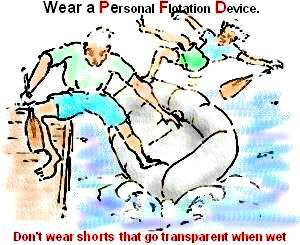 Fenders should be secured to the boat and not the dockside. Chafing gear will help protect you lines and thus your boat. Where lines run through fair-leads and around cleats they can be protected with a short length of hose, a leather wrapping or the addition of an extra layer of braiding. The golden rule when approaching a dock or anchorage is take your time. What is the tide doing, is it high or low, is there a current flowing and will it help or hinder your docking? Is the wind going to have an effect? It is best to work into the wind if possible as this will act as a natural brake, going with a strong wind can cause extra difficulties. Which side will you be tying up to? Are enough fenders/bumpers out and are they in the correct position for the dock and spread out along the length of the boat? Do you know where the mooring points are on the dock? Does the crew understand your intentions? Will reverse gear work when you want it to? Try it to make sure. Are there any other boats maneuvering or about to, in the area? It seems like a lot to consider but with practice much of this will become second nature. Just remember that it is much more seaman-like to go slow, back off if necessary and go around again until you are sure. As with anything else practice makes perfect, and by practicing you will learn the handling characteristics of your boat. This ‘Easy Docking’ method is ideal for the single or short handed crew. 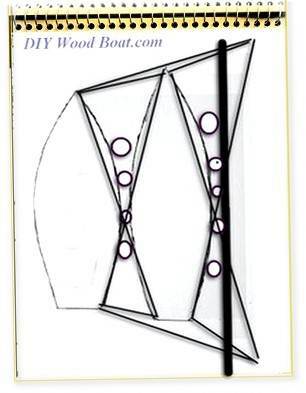 Set up a mooring line in a large loop between a center cleat and a stern cleat on board. Have the loop ready draped over on the cockpit side on board and the boat hook ready to hook the loop over a suitable dockside cleat. Come gently alongside the dock and then use the boathook to drop the loop over a suitable dock cleat. Motor gently forward with the tiller centered. You will find that the boat will be slowly drawn in to the dockside and will then sit alongside quite happily just as long as the motor is in gear. Adjustments to the tiller angle and propeller speed can be used to alter how she sits, depending on the conditions..
Once she is sitting nicely you will then have all the time in the world to tie off the bow and set up springs etc. before taking the engine out of gear. On a sailboat the stern end of the loop can be taken through the fairlead and onto a winch, this will give even more control to the docking procedure. All boats have different handling characteristics. Get to know how she will react to differing circumstances especially at low speed. How well does she answer to the helm and how large is her turning circle? How is she effected by the wind, for instance, will a cross wind push her bows off track? And do you know which way the propeller will kick at slow speed? The propeller while it is primarily meant to propel the boat either forward or in reverse also has a sideways thrust. This is important to remember when you change gear to break your speed along side the dock. Will it push the stern into or away to the dockside and might it cause the bow to swing? In calm conditions if you only intend mooring for a very short time, such as when at the re-fuelling dock, a bow and stern line should be sufficient. However, only having a bow and stern line will not prevent your boat from moving back and forth along the dock with any swell or wind or wash. Laying spring lines will prevent this and should be used whenever mooring up for any length of time. The longer the spring the more snubbing it will be able to absorb. 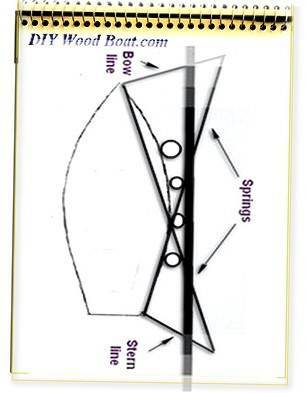 The stern spring should run as far as a cleat on the dock near the bow and vice versa for the bow spring. If possible moor your boat with her bow into the prevailing wind and don’t be shy about adding extra lines if you intend leaving her for an length of time. When in a tidal area and there is no pontoon mooring you must allow for your boat rising and falling in relation to the dockside. If you tie her up tightly at high water she will be left swinging mid-air when the tide goes out, that is if the cleats don’t rip out of the deck. On the other hand, the correct length of line for low water could leave her far too slack at the top of the tide. This is a situation where you will need the longest dock-lines. The only sure way to keep the line tension correct is to stay on board constantly monitoring and adjusting. Line snubbers may help take out the slack at higher tides and relive tension at low water. Whether you use snubbers or not, the longer the line and the more widely spaced the shore cleats are, the less will be the need to adjust. Whenever working out the length of dock line, always bear in mind that the tidal range can vary quite considerably, either way, from the figures in the tables. There will be occasions when there is no room at the inn. When all the mooring spaces are full, you'll have to moor alongside another vessel. Look for a boat of a similar size or preferably larger than your own. Don’t forget your manners, ask permission before mooring against another boat. It is very rare that anyone will refuse and they will most likely help you to tie up. And ask them when they intend to leave, if they plan to leave before you make sure you are there in time to let them out. 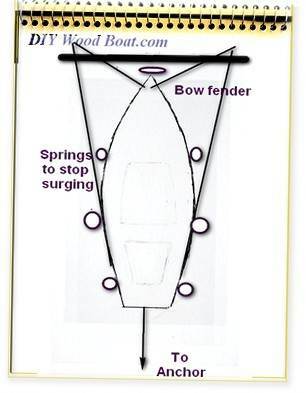 First you will need to set up ‘breast ropes between the bows and sterns of each boat, then ‘springs‘ to prevent lateral movement. Then you want your own shore lines bow and stern of your boat tied directly to the dock. This will ensure that you are not relying on the inside boats lines. And if the inside boat wants to move you can let her out without letting go of the dockside. If there is any danger of swell or wash from passing boats make sure that the masts are offset and you have plenty of fenders/bumpers between you. Whenever the inside wants to leave first, it should if possible plan to go with the wind or tide which ever is the strongest. Both boats should have their engines running and cast off all lines except the bow and stern shore lines. The outside boat should have a line running from the end the inside boat wishes to leave from, around the other end and back to the dock. Then as the inner boat moves out the outer boat can take up the slack on the shore lines. Many of the best places to stop in the Mediterranean are the tiny crowded harbours far from the maddening marinas. Here you will still have to moor up in the traditional Mediterranean manner. This will entail tying either the bow or stern to the dock side while the other end is anchored out in the harbor. While the locals will tie up stern-to, most cruising folk prefer to moor bows-to, for the sake of privacy. Many cruising people also paint their anchors in bright colors so the are easier to see on the sometimes anchor strewn seabed. And many have an anchor mounted on the taffrail, quite often attached to a reel of webbing anchor line. The technique involves dropping the anchor well out from but in line with the mooring spot. Then while feeding out the anchor line, motor in, tie off to the dock side with two lines and take up the slack with the anchor line to hold the boat away from the dock. The most important thing is to make sure the anchor is set properly. As with any mooring don’t just zoom into the harbor, check out the available spaces and look out for any hazards and take note of the wind direction. And look over the side to see how other boat’s anchors are lying, you don’t want to snag them or have them snag your anchor. If there is a wind bowing through the harbor, you may need to off set the anchor to compensate or use a spring on the anchor line. And don’t forget fenders over both sides. In some harbors you may find that mooring buoys have been set to save you having to use your anchor, so your first job is to get a line onto the buoy, then pay it out as you approach the dock. Other harbors might have a mooring with a link-line running from the dock side. In this case you will only be able to pick it up when close to the dock. Be careful when handling these lines as they my have sharp marine growths and grit on them. Whatever the configuration just take your time and ignore the spectators.